Scuba Diving in Aruba is an unforgettable experience that is unmatched anywhere in the world. Regardless of who you ask, one location will always stand out above the rest, and that is Aruba. The Island's natural beauty and splendor combined with an abundance of coral reefs and breathtaking shipwrecks makes Aruba one of the most beloved scuba diving locations in the world. We offer hassle free diving including full equipment rentals, wet suits, and even private guides to make your experience as memorable as possible. 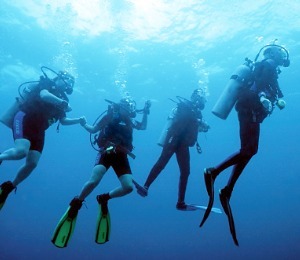 Learn to become a certified Scuba Diver! Join us for three days of learning, diving, and fun as you earn the skills required to become a certified open water scuba diver. We provide all of the necessary equipment, training, and dives to get you ready to start exploring the vast beautiful oceans. Already have your certification? 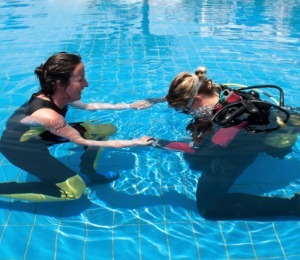 We offer a variety of advanced and specialty courses for even the most experienced divers. Even if you have never dived before you can still experience the beauty and elegance of our living coral reefs through our Discover Scuba Diving program. After a brief introduction and shore dive, where you will learn the basics of scuba diving, you will be swept away to an incredible shipwreck or coral reef to enjoy your first open water scuba dive. All of your necessary equipment and instruction will be provided. All you have to do is know how to swim and come armed with a sense of adventure. Limited Spaces Available! For reservations call 866-579-4520. Don't miss the opportunity to explore the beautiful underwater life on the Aruba coral reefs. 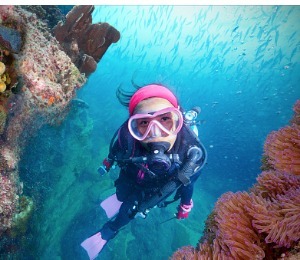 Our Dive trips are one of the most unique dives anywhere and are very popular with visiting divers. 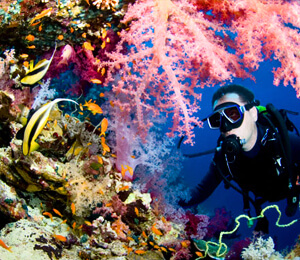 Join us in exploring the amazing coral reefs and wonderful underwater life. Have you always wondered what its like to go diving? Dont stay on the surface dive in like the pros! 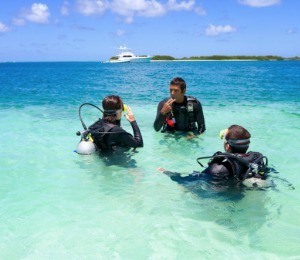 Taking our Resort Course Scuba Diving program will allow non-certified divers or anyone interested in experiencing diving the ability to see just how much fun diving can be. 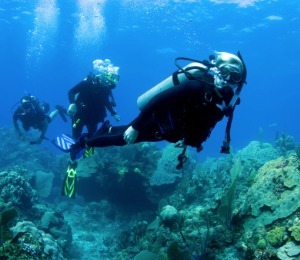 Get your scuba diving certification right here in Aruba. Our Course is perfect for travelers who want to vacation and get certified while on vacation. 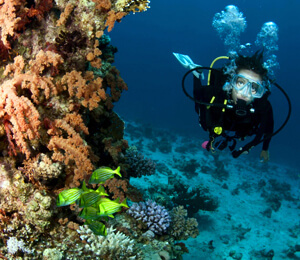 We will provide professional training and diving certifications that will allow you to dive anywhere in the world. Need help booking your tour? Our professional and local staff is here to help. Contact one of our local representatives by calling 866-579-4520 or click the live chat button to right.